What all the best dressed Goblins will be carrying this year! 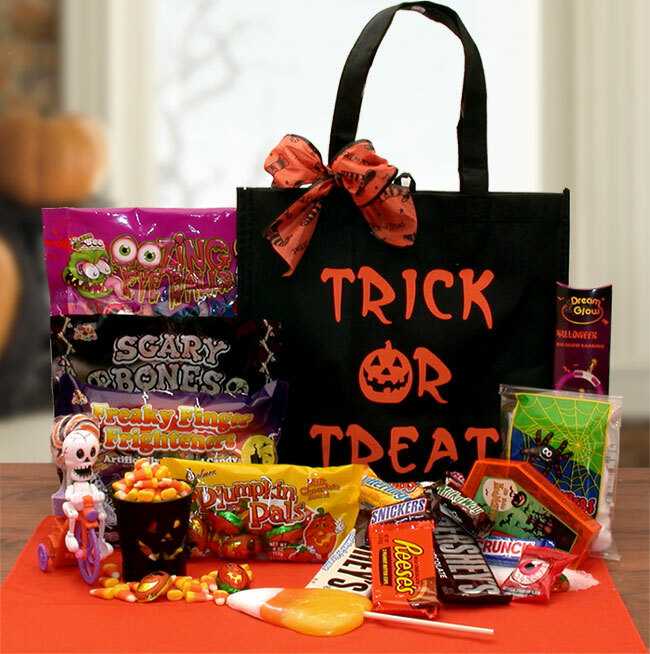 A fun filled fabric trick or treating bag filled to the brim with unusually tasty treats. They're sure to devour them before the night is over!